A bizarre new turn in the neverending saga of the non-appearance of a RECYCLING CENTRE for south Bristol on Hartcliffe Way. The centre, readers may recall, was signed off to be built by the Lib Dems in 2012 and then kicked into touch a few months later when recently elected Mayor No-More Ferguson decided to pursue his environmental goals through the medium of CIRCUS PERFORMANCE and FREE PIES for the wealthy. In May 2016, at his inauguration speech, The Reverend appeared to resurrect the plan, PROMISING south Bristol a recycling centre on Hartcliffe Way as outlined in his ‘Our Bristol Plan’ manifesto. Since when, NOTHING WHATSOEVER has happened to deliver the centre. Er, that’s right. The Bristol Labour Party is petitioning itself to get their own manifesto promise delivered by 2019! What a shambles. 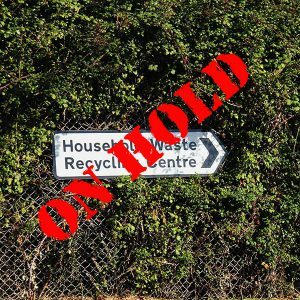 This entry was posted in News and tagged Bristol City Council, Bristol Waste, Bristol Waste Ltd, George Ferguson, Hartcliffe Recycling Centre, Marvin Rees, Our Bristol Plan, Petition, Recycling, South Bristol Labour Party on November 22, 2018 by thebristolblogger.